Are YOU ready? 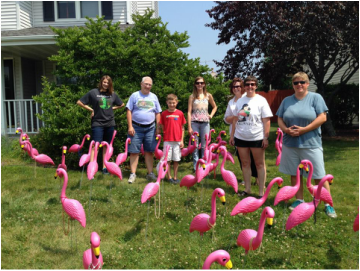 Last year's Mission Flamingo Fundraiser which helped send us on a mission trip to St. Louis was such a success, we just had to do it again. This year we are raising funds for our Mission Team trip to General Synod! 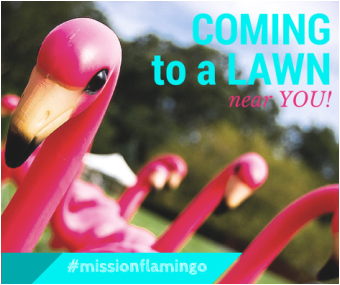 The flamingos are looking for front lawns to take over and your house could be next! 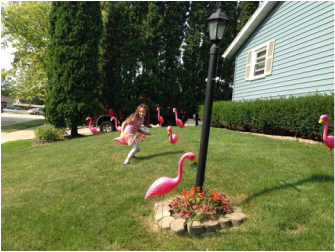 By purchasing Flamingo Insurance you are lowering your risk of being ﻿Flocked﻿. If you decide to take the risk and DO NOT purchase insurance then there is a Removal Fee to get those pesky birds off your lawn! (Our professional﻿ flamingo removal team﻿ knows just what to do.) You can also pay a donation to Flock a Friend! CLICK HERE to check out all the crazy, silly fun on Facebook! Follow the flock on their adventures, post pictures, see who's been flocked, AND MORE. CLICK HERE because the birds are also on Twitter!